…I’m sure that would freak you out. So, how do you think a player feels in the same situation? Do assess the situation and make a judgement call if it is appropriate to approach the athlete in the first place. For example, I saw Evgeni Malkin with his son at an outdoor rink during Christmastime. Did my wife and I skate over and say hi? No, because that was Malkin’s time with his son, and interrupting that would be rude. Another time, my friends and I were waiting for Sidney Crosby to leave the old barn (Civic/Mellon Arena) and out walks Bill Guerin with his family. Everyone waved and kind of ignored him, but I’m a fan of Guerin, so I approach his wife. “Sure,” she said. She called him over. So, show respect not only to the athlete’s space, but especially to the people who are with them. Don’t take a stack of things up to a player to sign. You could be a fan who just wants things signed for your collection. But these days, there are so many people getting items signed just to sell on eBay. 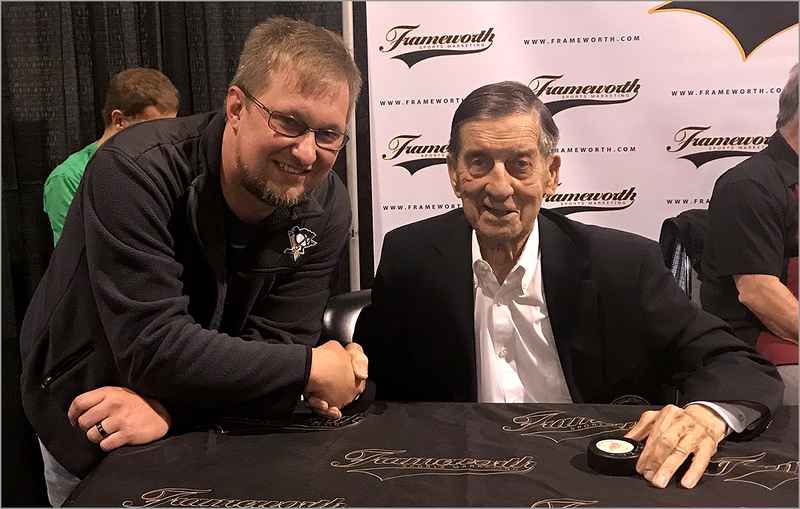 For example, I was at the Sports Card & Memorabilia Expo this past spring, and I bought a ticket to meet “Terrible” Ted Lindsay. The gentleman in line in front of me took around eight items to get signed by Mr. Lindsay. 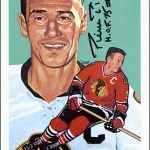 When getting the things signed, he never asked Mr. Lindsay a question or said he was a fan. Nothing. Even with that attitude, Mr. Lindsay, at 92 years old, took his time and signed beautifully on every item. But as you watched him sign, his face said it all; it pained him to do it because he knew this guy was here to make money off of his signature. Do take one or two items when asking a player to sign. If I was a player, I would believe that someone was a true fan if they had just one item they wanted to get signed. I would take it even more seriously if the item had other players’ signatures on it, especially from different eras. 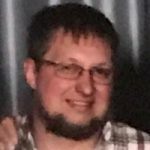 If I played for the Red Wings, and you asked me to sign a jersey that had already been autographed by Gordie Howe, Ted Lindsay and Steve Yzerman, I would know that this is something you love, and I would be honored to sign it. 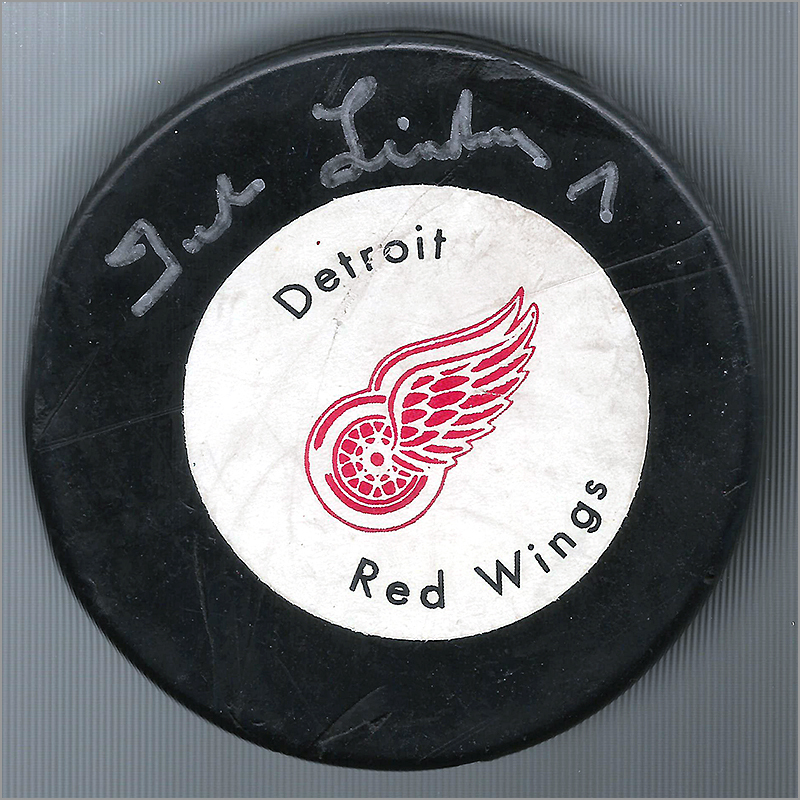 To tie in with my story about Mr. Lindsay, when it was my turn to get an autograph from him, I spoke up. “Hello, Mr. Lindsay. It is an honor to meet you,” I said. Immediately, he stuck out his hand to shake mine. He looked at the puck I brought to get signed. “Where do you want me to sign it?” he asked. “As long as you sign it, it is your call,” I replied. That brought a smile to his face. Mr. Lindsay took his time when signing my puck. I then asked him for a picture, and he agreed, so I walked over to the side of the table next to him. “What are you doing? Get over here,” he said as he pulled me in closer for the picture. Even at 92, Mr. Lindsay is strong! Don’t just ask general questions, or give general compliments. How many times has Sidney Crosby heard “You’re the greatest!”? Probably a million times. That’s boring, and it doesn’t grab attention. But on the same note, don’t ask personal questions like “Wow, you have a sweet car. How much did it cost?” or “How’s your family?” You don’t know these athletes personally, so don’t act like you do. 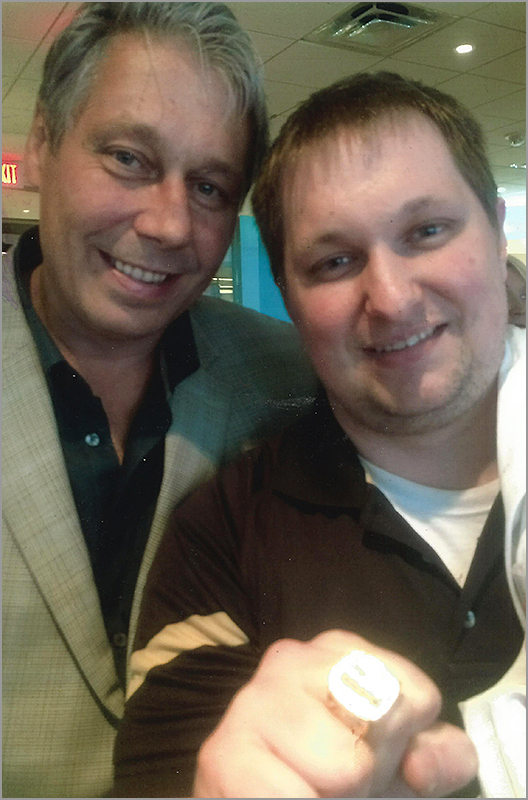 Former Habs defenseman Lyle Odelein let me wear his Stanley Cup Championship ring for this picture. Do your homework. If a player passes a milestone, then congratulate him on it. Those kinds of compliments show you follow the game and that player’s career. Also, try asking something different, like “Which goalie do you like to score on the most?” or “Who is your favorite opponent to chirp during a game?” Be interesting. If you do get to know a player through a mutual friend or acquaintance, then don’t start out by asking about their career. Instead, ask them about what hobbies they have, or if they are retired, what they are doing these days. 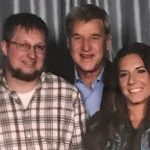 I have had the pleasure to spend time around former Canadiens’ player Lyle Odelein and his wife a few times through mutual friends. I never asked Mr. Odelein about hockey until he brought it up. This is a valuable post. Great job Travis!